Bioinformatics National Certification (BINC) examination on February 25-26, 2012. Registration is open from 14-11-2011 to 03-02-2012. Conducted by: JNU New Delhi, on behalf of Department of Biotechnology, Government of India. DBT has agreed to fund Research fellowships for all the BINC qualified Indian nationals to pursue Ph.D. in Indian Institutes/Universities. Cash prize of Rs. 10,000/- will be awarded to the top 10 BINC qualifiers. Note that the candidate must possess a postgraduate degree(or equivalent) & meet the criteria of the institutes/universities in order to avail research fellowship. Graduate and above degrees in Science, Agriculture, Veterinary, Medicine, Pharmacy, Engineering & Technology are eligible to appear in the examination. They need not have any formal training viz., certificate, diploma or degree in Bioinformatics. Students in final year of Bachelor are eligible to apply. International students are also eligible to apply. 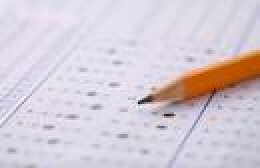 Examination pattern :The examination consists of three papers.